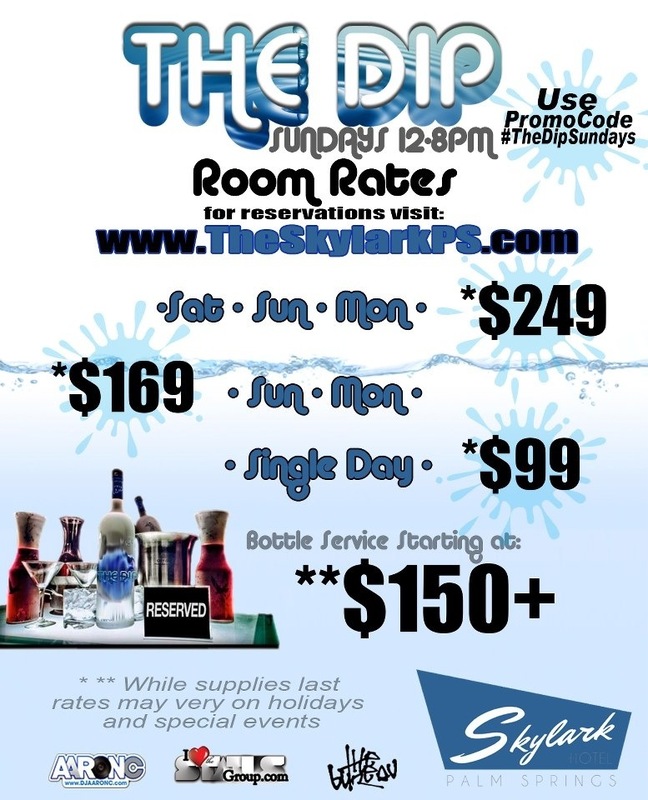 Hey guys here is the room rates for the SkyLark Hotel in Palm Springs for THE DIP Sundays and DITCH Mondays! Very chic and clean rebranded hotel in North Palm Springs! Come check it out! I’ll be there providing music for your auditory enjoyment! Let me know if you are planning to come out!